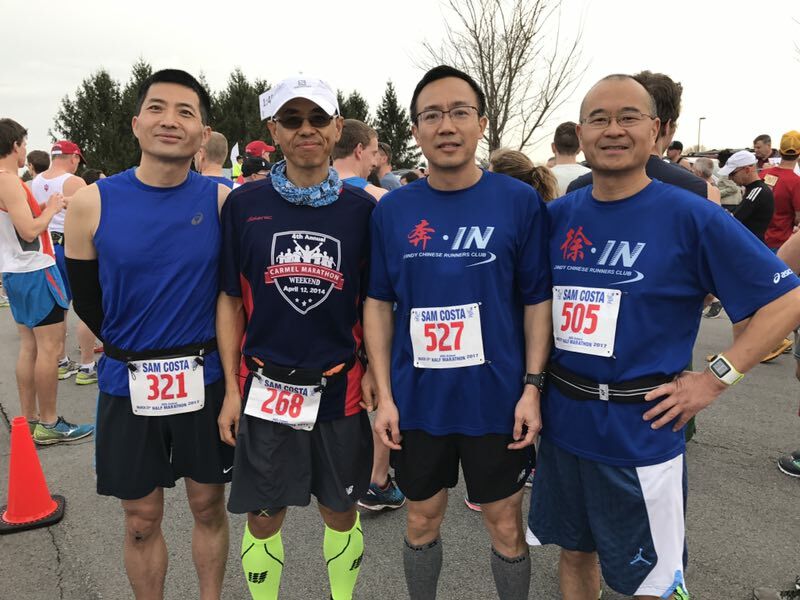 Sam Costa used to hang out with runners from central Indiana. . . . (These) early advocates had a race each year called the "Central Indiana Striders Half Marathon". It was held on the western outskirts of Marion County in late winter and Sam would participate with the rest of his buddies. Sam was a good, if not great runner, but he enjoyed the camaraderie of this group and the fledgling sport it represented. (Sam was, in fact, a detective with the Chicago Police Department. His traveling 200 miles to train and compete with a few friends is testimony to his dedication.) Sam would not live to see his avocation become accepted as it is today. He became terminally ill with cancer and passed away in the early '70's. His friends felt that the most appropriate memorial would be to name their half marathon event after Sam. For that reason it has been called the "Sam Costa Half Marathon" ever since." So Who was Sam Costa? 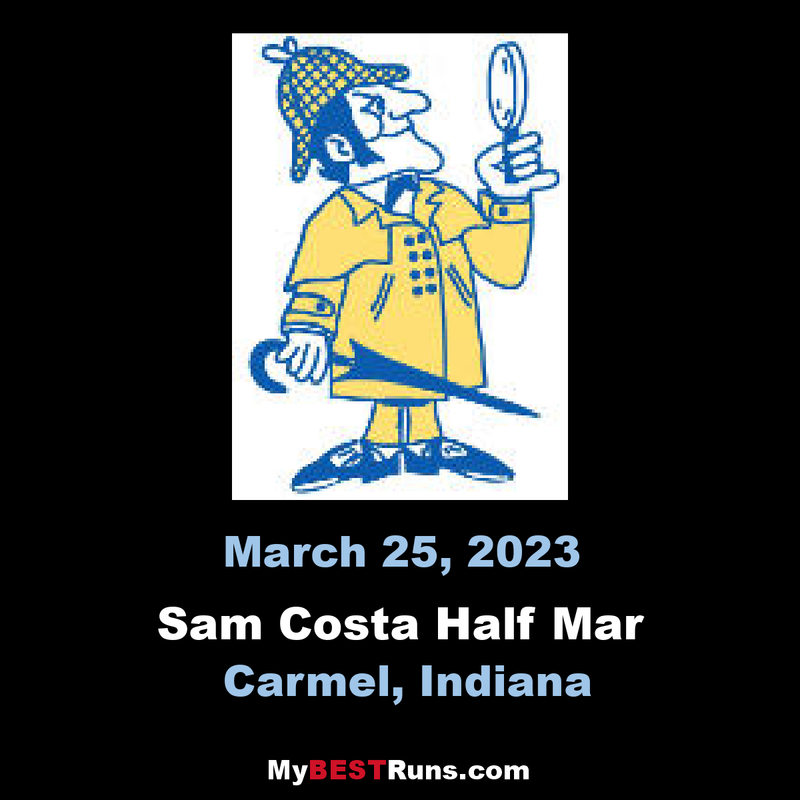 This question is asked many times each year as more and more people become acquainted with the "Sam Costa Half Marathon". The story of "Sam Costa" goes back to the 1960's, well before running had achieved the mainstream status it enjoys today. Even though the Boston Marathon had been around since the 1890's, many people will suggest that running wasn't even "invented" in this country until Frank Shorter won the 1972 Olympic Marathon in Munich. Sam's story predates that by many years. Sam Costa used to hang out with runners from central Indiana. Chuck Koeppen, legendary coach at Carmel, and eventual 4 - time winner of this race, was one of those. Stories are told of how these few running pioneers would have races in which the first person back would time everyone else as they finished. The kind of organization that we have come to know and expect simply did not exist nor was it necessary. With so few runners out on country roads with little or no traffic, modern necessities like aid stations and sentries were unknown. 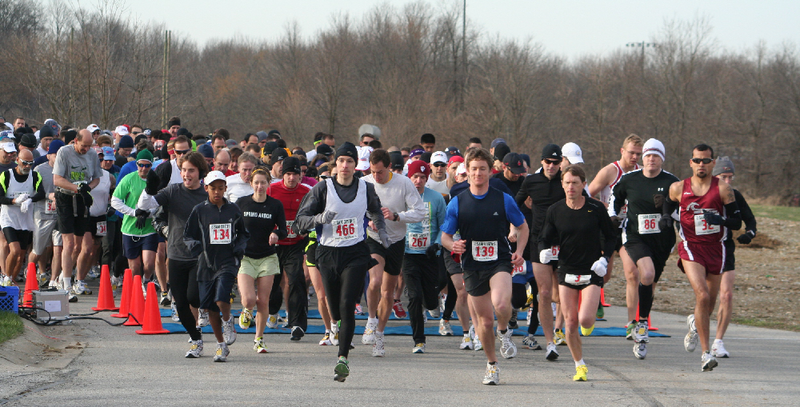 These early advocates had a race each year called the "Central Indiana Striders Half Marathon". It was held on the western outskirts of Marion County in late winter and Sam would participate with the rest of his buddies. Sam was a good, if not great runner, but he enjoyed the camaraderie of this group and the fledgling sport it represented. Unfortunately, Sam would not live to see his avocation become accepted as it is today. He became terminally ill with cancer and passed away in the early '70's. His friends felt that the most appropriate memorial would be to name their half marathon event after Sam. For that reason it has been called the "Sam Costa Half Marathon" ever since. The question still remains though - who was Sam Costa? Well, that is part of the hallowed tradition of this race. Sam was, in fact, a detective with the Chicago Police Department. His traveling 200 miles to train and compete with a few friends is testimony to his dedication. Years ago we adopted a logo for this event that depicts a "Sherlock Holmes" type figure. This historic detective figure appears on all our shirts and applications in honor of the man for whom this race is named. All of us who love the Sam Costa Half Marathon hope this history lesson will add to your enjoyment of the event. May it also increase your understanding of its legacy in the running community.